Secretary of State for Transport, the Rt. 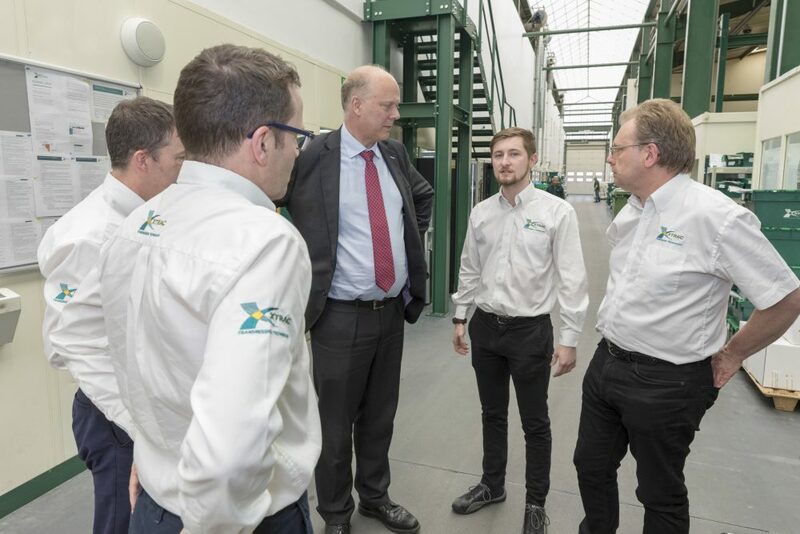 Hon Chris Grayling MP was welcomed to Xtrac’s Berkshire headquarters in March by Chief Executive Officer Adrian Moore, Operations Director Martin Halley and Head of Human Resources Jane Gilham. 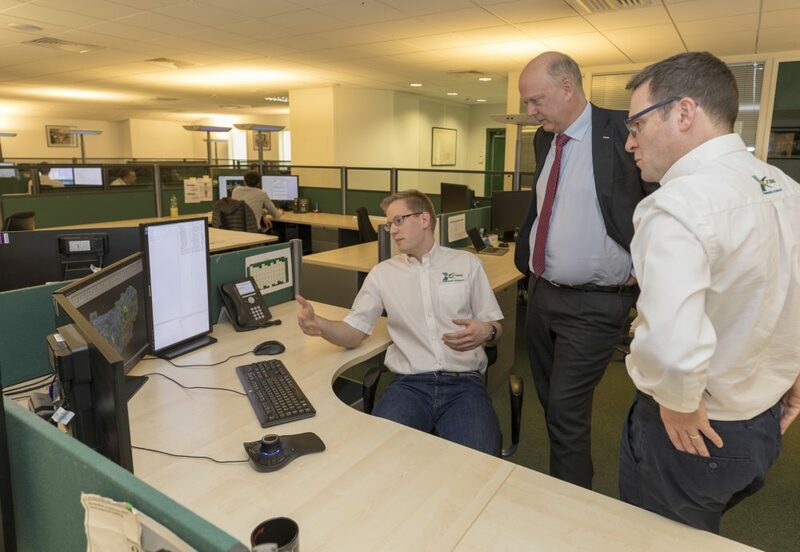 Throughout the visit he was introduced to a wide cross section of Xtrac’s over 340 staff ranging from Trainee Design engineers and Apprentices, highly skilled machinists and through to long standing senior members with over 30 years of service. The tour of the 88,000 Sq. Ft facility, commenced in the engineering department which is home to a team of over 80 engineers and analysts who design the latest generation gearboxes and differentials for Motorsport and High Performance Automotive applications, through the various manufacturing departments, the Research and Development area and culminated in the build shop assembly area where well over 1000 gearboxes are hand built each year. Moore showed Grayling Xtrac’s latest P1227 and P1166 ILEV transmissions for high performance electric vehicles in build, and explained the additional investment being made at Xtrac in expanded manufacturing, build and test capacity as the demand for these products increases.During the tour, Grayling saw the latest computerised machine tools in the turning, milling, gear cutting, grinding and heat treatment workshops before visiting the site alongside the current building where a £5m, 27,000 Sq. Ft. factory extension is commencing, and that will be operational by September 2018. Currently 80% of Xtrac’s turnover is exported and additionally, the company has facilities in Indianapolis and North Carolina USA. The ongoing factory expansion at Xtrac’s UK headquarters follows the expansion of the Indianapolis facility in 2017, which doubled its size allowing for increased support of Xtrac’s North and South American customers. Xtrac is a key player in the growth of electric vehicle (EV) technology and during the visit discussions took place concerning the government’s approach to emissions legislation and the benefit that Innovate UK & the Advanced Propulsion Centre is bringing through government provided finance to help high technology suppliers such as Xtrac to develop their capability and capacity. 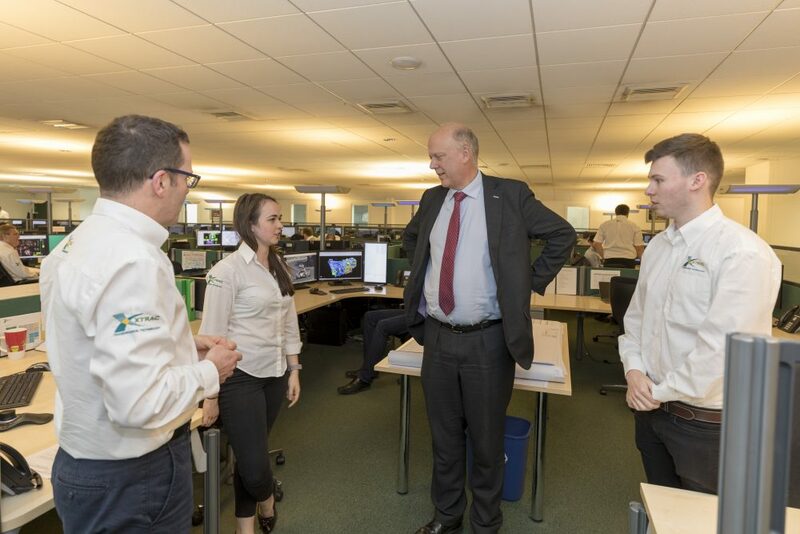 Trainee Design Engineers Aislinn Smith and Daniel Terry Introduced To Secretary of State. Design Engineer James Osborn Explaining the Design Process of an LMP1 Transmission. Fourth Year Apprentice Chris Marrs alongside Apprentice Manager Warren Page. 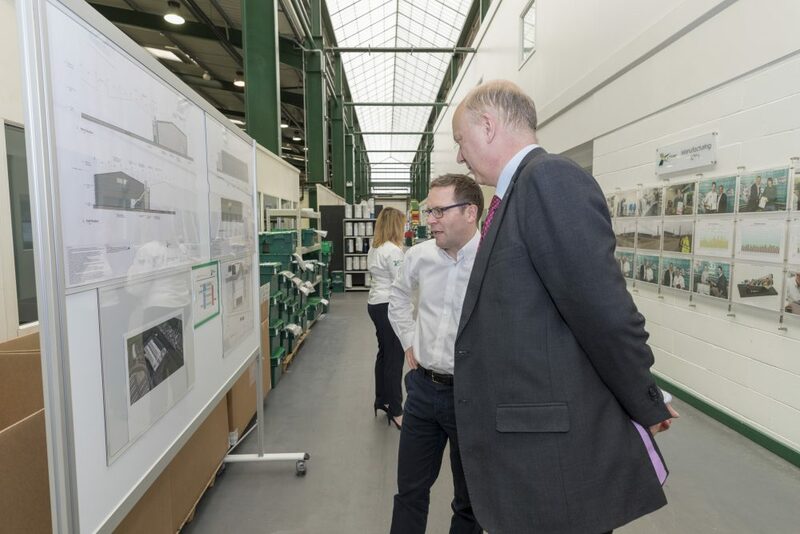 Adrian Moore running through the plan of Xtrac’s Significant Factory Expansion. Adrian Moore and Martin Halley discussing the Latest in Electric Vehicle Transmissions.